 The baseball program at DCS strives to provide competitive baseball experiences for Dade Christian students between 8th-12th grade. We aim at offering an experience that promotes sportsmanship, teamwork, respect for, and enjoyment of the game of baseball. The athletes learn to use their skills on the field to glorify God. The program has also prepared many players to make use of their skills at the college level. The coaches and players of the baseball program are determined to make the most out of every season. The Varsity boys’ baseball team is comprised of 9th-12th graders who are very dedicated to the sport. They have been known to be extremely competitive within the District. The coaches and players are looking forward to a terrific season and are anxious for training to begin. The team is determined to continue improving and hope for a great season! We would like to thank everyone for their continued support of DCS baseball and hope to see a big crowd at every game!